Treat your guests with this modern and fresh range of toiletries and soaps. URBAN APPEAL ® Hotel Guest Amenities Collection is designed to renew the texture and appearance of skin and hair in any urban environment. It is defined by their unique enrichments and distinctive aroma blend. The liquid products contain the finest enrichments and the soap is produced from a moisturizing vegetable base. It has a refreshing aroma blended with Romary and mint, pachouli and Grapefuit and basenote of luxury design nature fragrance will impress your guest. 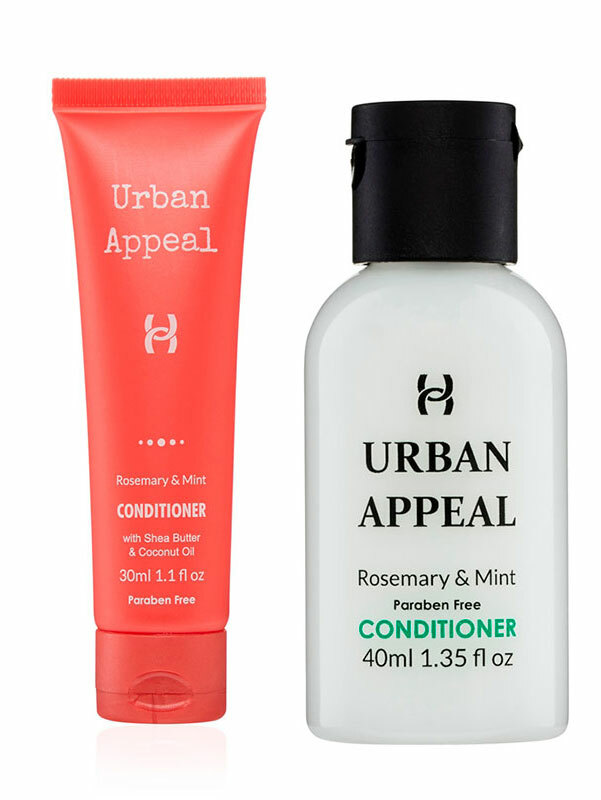 URBAN APPEAL Collection is Free from Parabens, SLS, SLES and Petroleum. 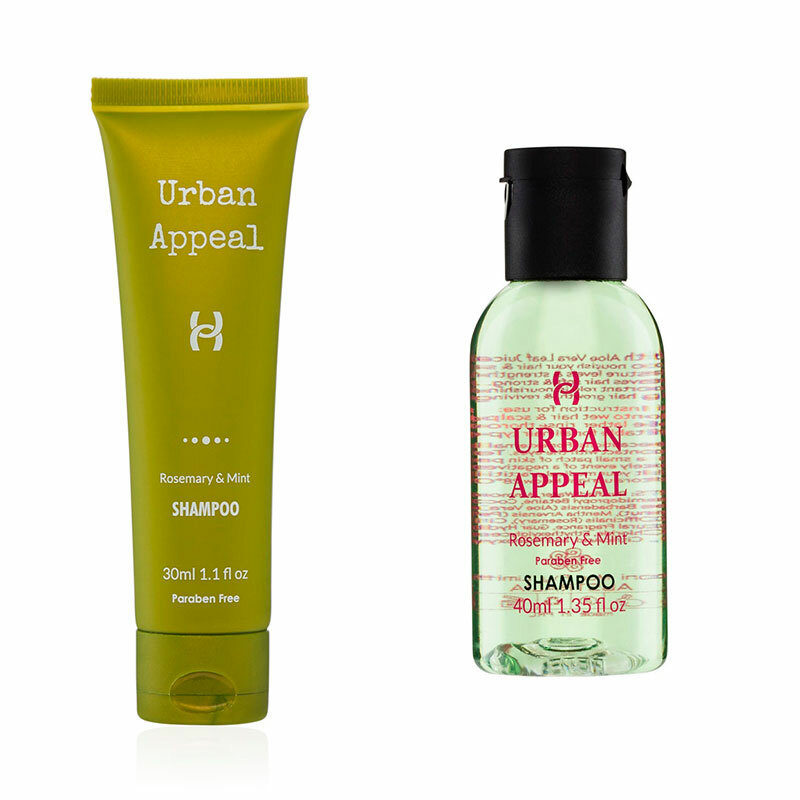 Treat your hotel guests with Urban Appeal Luxury Rosemary and Mint Shampoo with a fresh and appealing fragrance. It is effective and contains slightly acidic solutions that work to close and protect the hair follicle. This helps retain moisture in the hair shaft whilst removing dirt and excess oils from the hair shaft. After shampooing it is also essential to follow up with a quality moisturising conditioner. For best results use this shampoo with Urban Appeal Rosemary & Mint Conditioner. This luxury conditioner is available in 30ml tube, and 40ml bottle. 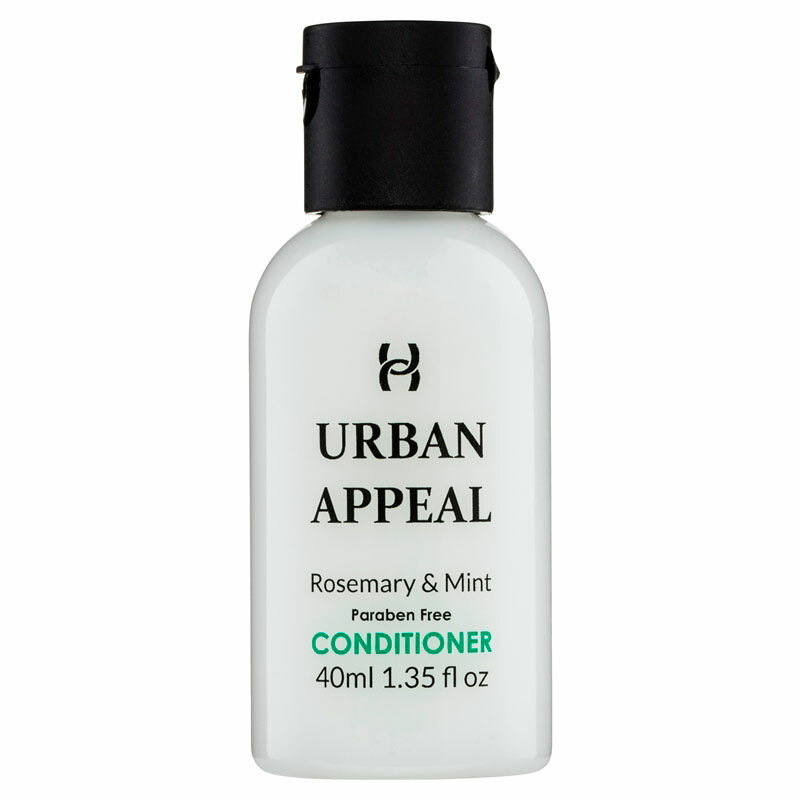 Urban Appeal Rosemary and Mint Conditioner gently conditions hair and increases manageability for hair that's soft and shiny. 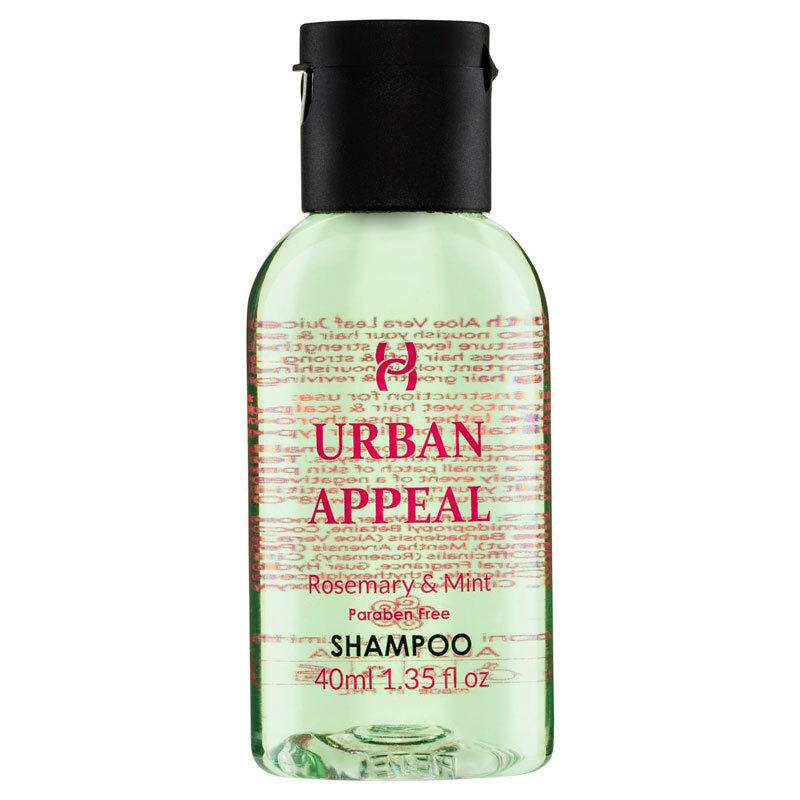 For best results, use this after shampooing with Urban Appeal Rosemary and Mint Shampoo. Providing your guests with this allows them to provide their hair the love it deserves! This luxury conditioner is available in 30ml tube, and 40ml bottle. Urban Appeal Patchouli and Grapefruit Body Wash is a luxurious sensual body wash for your guests. It is made with a unique refreshing aroma blended with Rosemary and mint, pachouli and Grapefruit and basenote of luxury design nature fragrance. 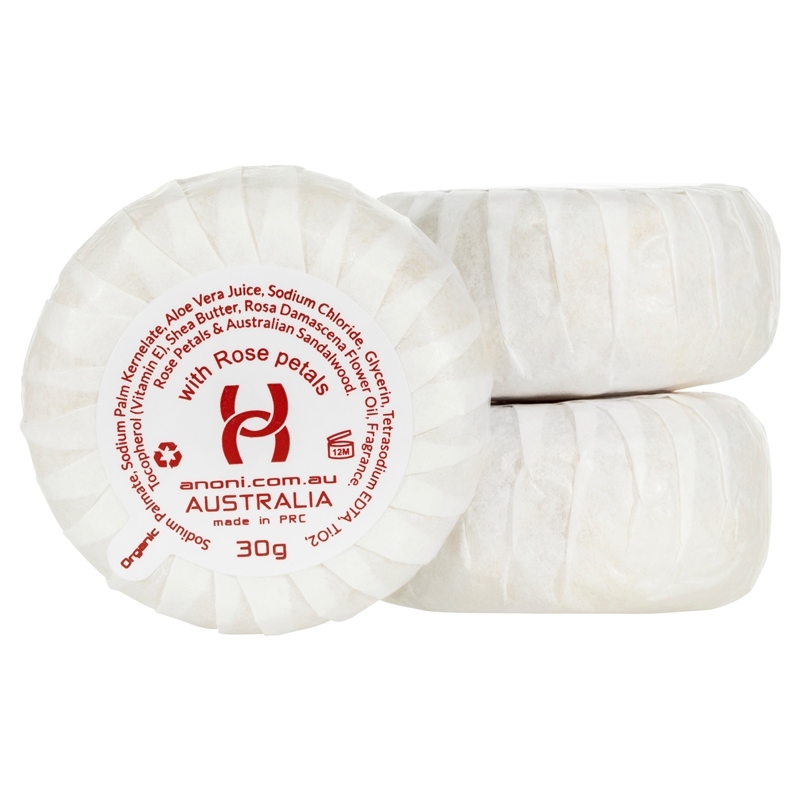 This body wash will leave the skin feeling conditioned, soothed and naturally cleansed! Available in 30ml tube and 40ml bottle. 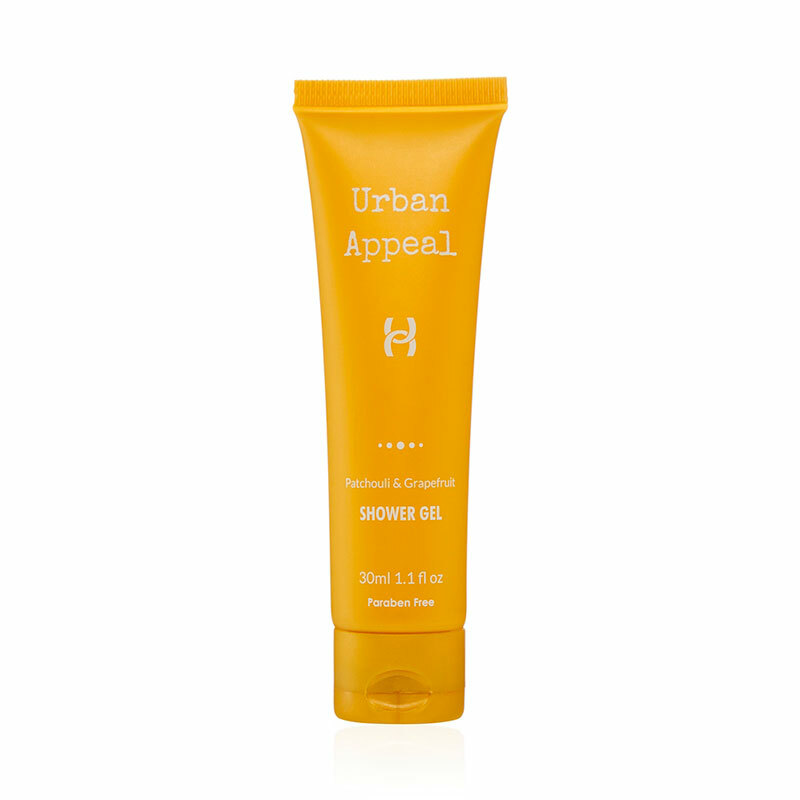 Urban Appeal Patchouli and Grapefruit Body Lotion is lightly textured, deeply hydrating body lotion for all skin types. It is made with a unique refreshing aroma blended with Rosemary and mint, pachouli and Grapefuit and basenote of luxury design nature fragrance. This body lotion will leave the skin feeling soft and nourished! Available in 30ml tube and 40ml bottle. 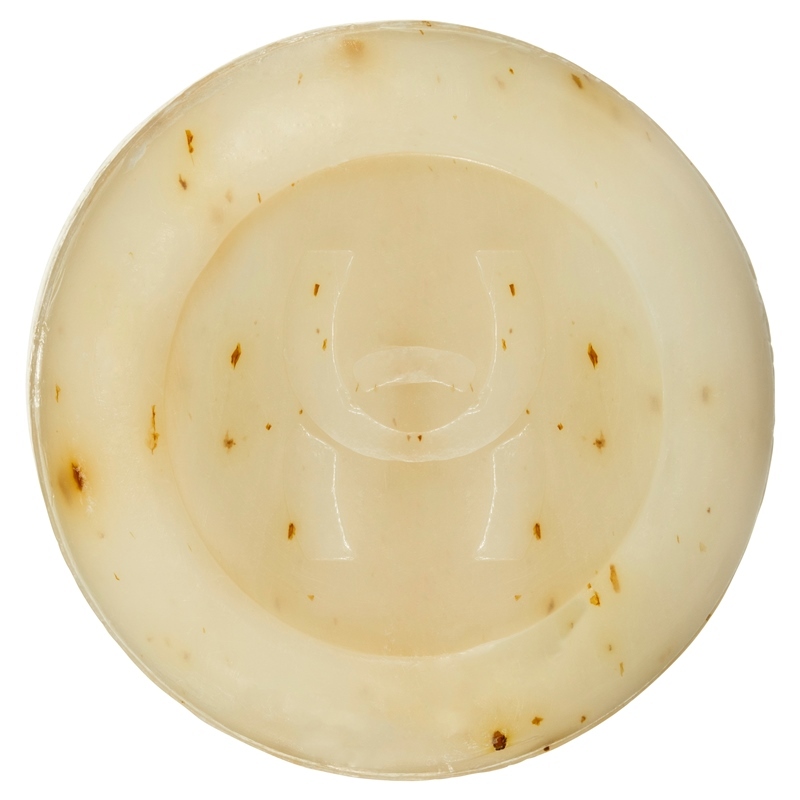 Urban Appeal Patchouli and Grapefruit Pleat Wrapped Soap provides a de-stressing and relaxing sensation. It is made with a unique refreshing aroma blended with Rosemary and mint, pachouli and Grapefuit and basenote of luxury design nature fragrance. 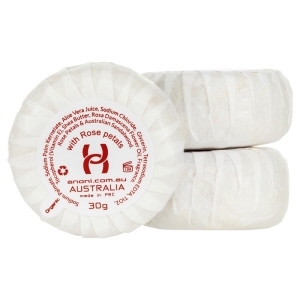 This soap has a solid texture and a great lather, with a very pleasant and interesting scent. Available in 30g (Carton of 300). Urban Appeal Luxury Bath and Body Products Collection - shampoo, conditioner, body wash, and body lotion are available in 5L designed for easy refill of dispensers.